Is Oxybenzone Toxic to Coral? 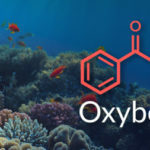 Home » Oxybenzone » Is Oxybenzone Contributing to the Death of Coral Reefs? Previously in this blog, we have examined claims against Oxybenzone. One of the most persistant is that oxybenzone disrupts our hormones and can even cause cancer. Although there is still no concrete evidence to support the danger of oxybenzone in sunscreen to HUMANS, there is mounting evidence that it, as well as several other common sunscreen ingredients, are a danger to coral reefs and other delicate oceanic ecosystems. Coral reefs are dying off at an alarming rate. The current “bleaching” event, where the algae that resides in coral is expelled causing the coral to turn white (bleach), is the 3rd such event scientists know about—and the most severe. Coral, and algae called zooxanthellae, enjoy a symbiotic relationship, where the coral provides a safe haven for the algae to convert sunlight into energy (photosynthesis). In trade, the coral is given essential nutrients for growth. As ocean temperatures have risen over the past few decades, many coral reefs have become stressed, causing the coral to expel the algae. This makes the coral lose its color (become bleached). And if conditions don’t ever improve, the coral will eventually die. Although climate change appears to be the biggest contributor to coral bleaching, scientific researchers are now raising a red flag about man-made products, including sunscreen, that are contributing to the environmental stress on coral. 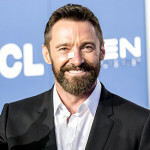 In many popular sunscreens, this involves both chemical ingredients like oxybenzone, and small-particle mineral blockers like zinc oxide and titanium dioxide. Chemical Ingredients toxic to coral include oxybenzone, octinoxate and butylparaben. OXYBENZONE damages coral DNA, causing deformities and inhibiting the coral’s ability to reproduce. 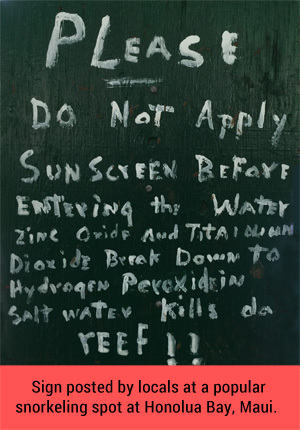 Like oxybenzone, OCTINOXATE is what is called a UV absorber—it absorbs the sun’s harmful rays and then dissipates them. Octinoxate can awaken dormant viruses inside the coral, causing them to multiply and literally explode. This also induces coral bleaching. 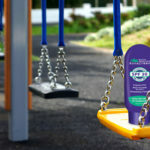 BUTYLPARABEN is a popular preservative found in many personal care products—including sunscreen. Like oxybenzone and octinoxate, it has also been implicated in the bleaching of coral. Mineral Blockers like TITANIUM DIOXIDE and ZINC OXIDE work differently than UV absorbers in that they “reflect” UV rays off the skin. Unfortunately, this reflective feature also causes the release of hydrogen peroxide as sunlight interacts with these small-particle ingredients that have washed off our skin. Scientists have discovered that even small concentrations of hydrogen peroxide in sea water inhibit phytoplankton growth. Phytoplankton is a vital nutrient for reef inhabitants, including many species of coral. This problem is already well-understood by local stewards of coral reefs in Hawaii, as can be seen from the photo below. In Hawaii, a bill will soon be considered by the state legislature to ban sunscreens containing oxybenzone and octinoxate. 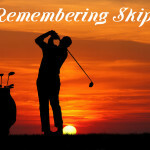 Such a ban would not come without fierce objection from groups like the Consumer Healthcare Products Association (CHPA). Although the most recent research disagrees, the CHPA and similar organizations continue to argue that there is no evidence that removing products containing oxybenzone from the market will improve the health of coral reefs. As is often the case when the environment goes up against corporate profits, there may need to be more coral damage and/or irrefutable evidence of the damage caused by these chemicals before protective laws can be enacted. In the mean time, it is good for consumers to be aware of what’s happening to our coral reef systems, and what they themselves can do to avoid contributing to the crisis. Just as some food companies have begun revising their products in response to the obesity epidemic and what science is revealing about what we’ve been eating the last 40 years, sunscreen companies are responding to the coral reef crisis. 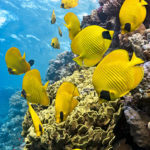 For information on reef-friendly sunscreen products, you can visit coralisles.com, one of several sunscreen companies now offering effective, broad spectrum sunscreen void of the ingredients potentially toxic to coral reefs.